We are the first studio in Javea to offer power yoga classes. 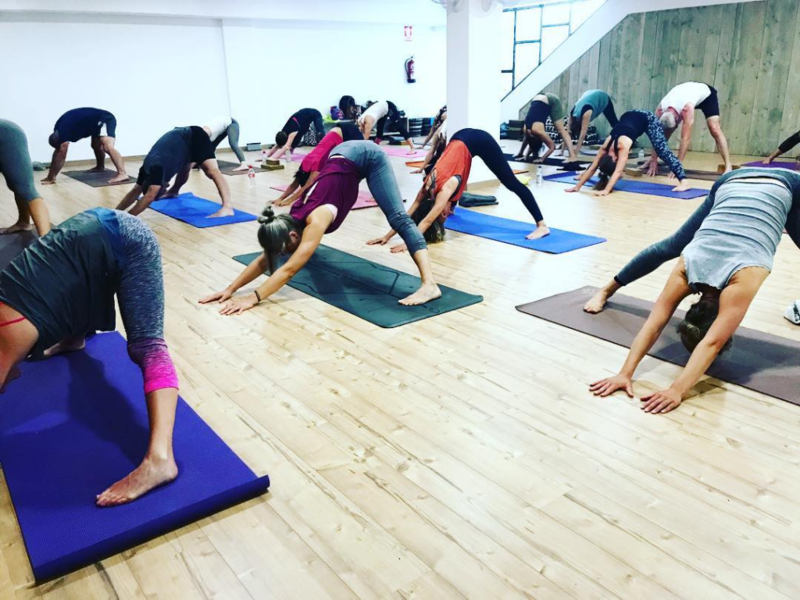 At House of Yoga Javea you will experience an Ashtanga Yoga inspired style class. 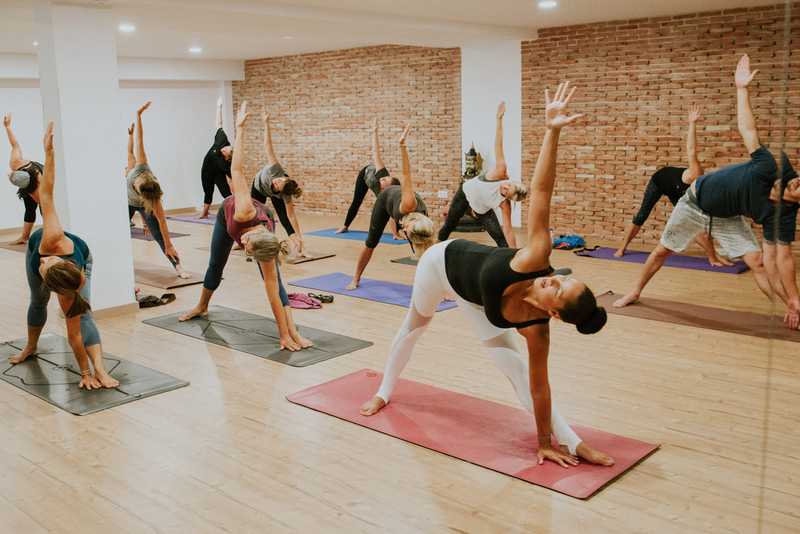 If you are looking for more of a yoga work out and are interested in progressing to intermediate and advanced levels, try our Yoga flow classes. Yoga stretching & Relaxation is great for beginners or students who prefer a more relaxed style where they hold poses longer. Two American yoga teachers, Beryl Bender Birch and Bryan Kest, both of whom studied with Sri K. Pattabhi Jois, are most often credited with inventing power yoga. Power yoga’s popularity has spread around the world and is now taught in most studios. The first studio in Javea to offer power yoga classes, At House of Yoga Javea you will a experience an Ashtanga Yoga inspired style class. Like hatha, vinyasa is a general term that describes many different styles of yoga. It essentially means movement synchronized with breath and is a vigorous style based on a rapid flow through sun salutations. You may also see a vinyasa yoga class referred to as a flow class, which refers to the continuous flow from one posture to the next. These classes are great if you are looking for more of a yoga work out and are interested in progressing to intermediate and advanced levels. Slow Flow Yoga allows practitioners to create their own synchronized dance, while learning poses and how to move, breathe, and stretch between poses. Slow flow brings the element of time into the practice. The practitioner has time to evaluate how and when a pose should to be modified, due to physical limitations or limitations in experience. The practitioner also has the time to mentally engage with the body, as it moves through a series. The mind and body connection is one of the main goals when practicing all forms of Yoga. Slow flowing Vinyasa is a wonderful practice in discovering one’s personal limitations and learning how to move past those limitations. The benefits attributed to yoga – increased flexibility and strength, more energy and better posture should be enough to get anyone on the mat, especially now there is a plethora of classes to choose from if you want to work on your core, break a sweat or even learn handstands. But what is on offer for those who just want to relax, or runners and amateur athletes who want the benefits of stretching without exhausting themselves for future training sessions? Yin yoga can complement an already active life or help those who feel distracted by “mind chatter”. Constantly emailing, texting and posting social media updates has led, for some, to mental overload and a feeling that we are not good enough or achieving enough. Yin yoga can provide an antidote to this. The term “yin yoga” comes from the Taoist tradition. Yang relates to movement, often repetitive movement, creating heat in the body. Yin is about finding stillness and cooling the body. And, the theory goes, we need both to come into balance to stay in optimum condition. Running and cycling are yang activities. Even some vigorous forms of yoga, such as ashtanga vinyasa and Bikram yoga (the hot one!) are – arguably – overwhelmingly yang. But if you focus only on the yang, your body can suffer from fatigue and burnout. Yin yoga is practised sitting or lying on the floor. There are no planks, no warriors, no core work. No dynamic sun salutations. No standing poses. The pace is slow, so you need to wear comfortable, warm clothes and maybe keep your socks on. The classes are suitable for beginners and more experienced practitioners alike. Yin yoga is a simple, quiet practice, but – make no mistake – it is not always an easy or comfortable one. One of the leading teachers of yin yoga, Bernie Clark, says: “Yin yoga is not meant to be comfortable; it will take you well outside your comfort zone. Much of the benefit of the practice will come from staying in this zone of discomfort, despite the mind’s urgent pleas to leave.” But if you can stick with it, people who regularly attend yin yoga classes say it stimulates perception and awareness of the quality and joy of the breath, and therefore of life itself. The beginner-friendly sport of standup paddleboarding was born in the 1940s when Waikiki surfers stood on boards and navigated their way through the waves with a long paddle. Standup paddleboard yoga (or SUP yoga, as it’s known to its devotees) is asana practiced on 10- to 12-foot-long boards in the most serene of settings: an ocean bay, a glassy lake, even a slow-moving river. In recent years, water-loving yogis—some with board sport experience, like Gibree, some without—have embraced SUP yoga as a practice that brings a sense of joyful freedom to an otherwise earth-bound yoga practice. 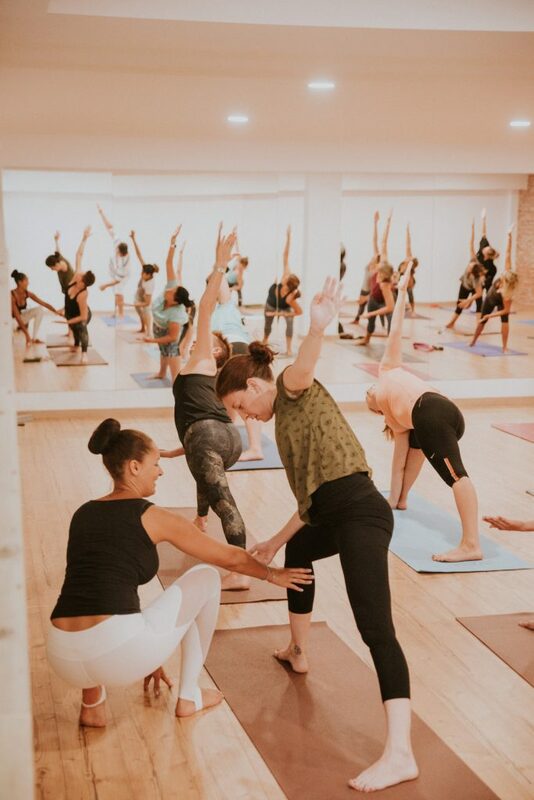 Stretch & Relax is an accessible class that everyone needs – athletes, advanced practitioners, weekend warriors, first time yoga students and everyone in between. Focused stretching allows muscles to relax and lengthen, which puts less strain on the skeletal system and reduces tension throughout the body. Students who take this class regularly report fewer injuries and improved sleep. Our Stretch class is a firm favourite among new students and advanced practitioners. It is highly recommended for people who do a lot of weight training, endurance sports, and repetitive motion sports like golf and baseball that unevenly load the body. Stretch is a great class for first time yoga students. Neither experience nor flexibility are not required, just an open mind and a willingness to have fun while trying something new. Riding at the forefront of the new health-conscious clubbing movement. WAIT A MINUTE, “DEEP, CHILLED VOCAL HOUSE … YOGA”? Yes! 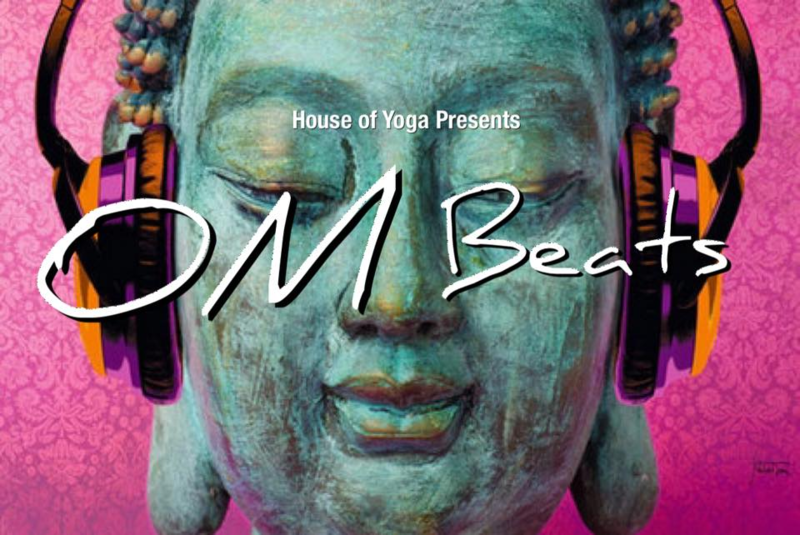 OM Beats brings together the mental and physical benefits of yoga with the spiritual connection we feel to the music we love. Embracing modern dance music styles deepens and brings a fun element into our yogic practice, connecting us – and each other – in a way only great music can. Styles include dynamic Vinyasa and Power Flow, allowing yogis of all skill levels to exercise the mind, body, & soul by taking their practice to a venue, or the studio – or wherever they lay down their mat as we crank up the grooves!